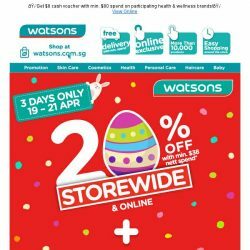 [Watsons] Enjoy Storewide 20% & receive FREE $8 cash vouchers! 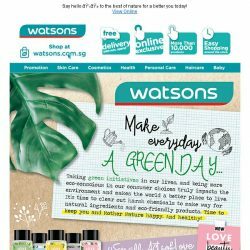 [Watsons] Embrace Nature & Go Au Naturale! 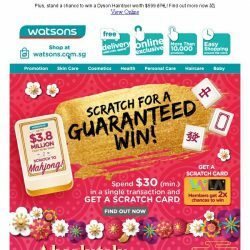 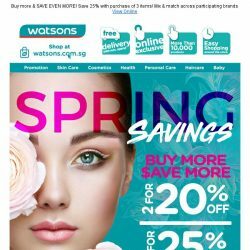 [Watsons] 15 – 17 Mar! 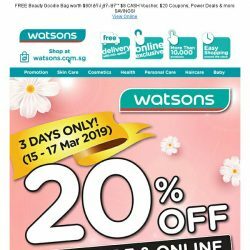 20% Off Storewide & more! 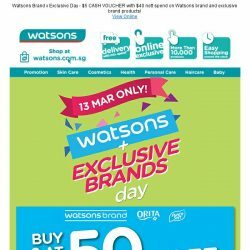 [Watsons] 1 Day only! 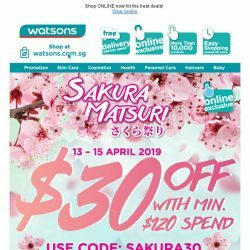  2nd Buy @ 50% Off! 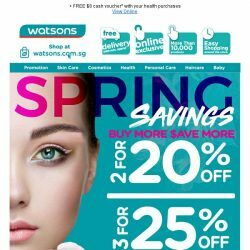 [Watsons] SITEWIDE $38 OFF  Happy Women’s Day! 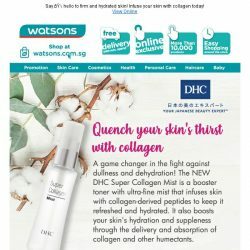 [Watsons] We are 31! 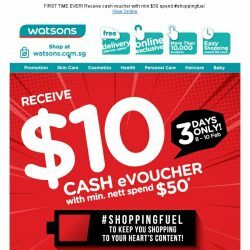  Celebrate with $20 COUPONS, $8 CASH VOUCHERS, 2ND BUY @ 50% OFF & more! 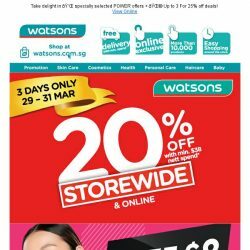 [Watsons]  20% OFF STOREWIDE + 6% POSB Cash Rebate! 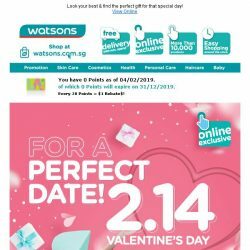 [Watsons] Hello 2019! 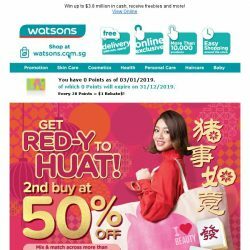  Enjoy 2nd Buy @ 50%! 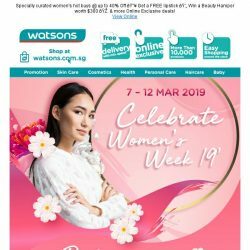 Mix & Match across >150 brands! 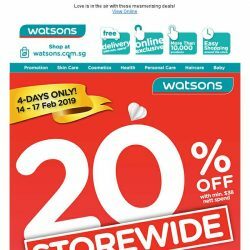 [Watsons] Kick off 2019 with 20% OFF STOREWIDE & ONLINE! 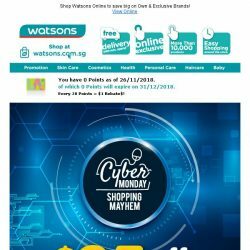 [Watsons] 12.12 Year End SALE ! 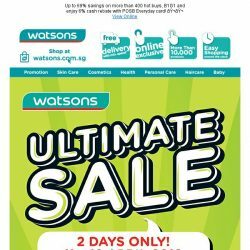 Up to 61%, Buy 1 get 2 FREE & Sitewide $32 Off!